The new year is full of new opportunities, as one year ends, the possibilities of the next expand in front of us. It is the perfect time for for a fresh start, and a fresh way of looking at your journalling habits. 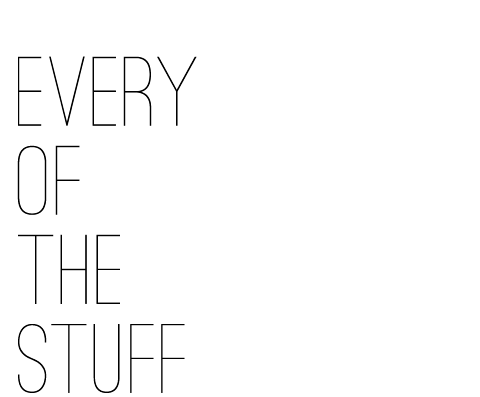 We all know the value of journalling. It helps the ideas to flow, keeps us organized, releases stress, and provides a creative outlet, but for many of us, there just isn't enough time to stop and write. 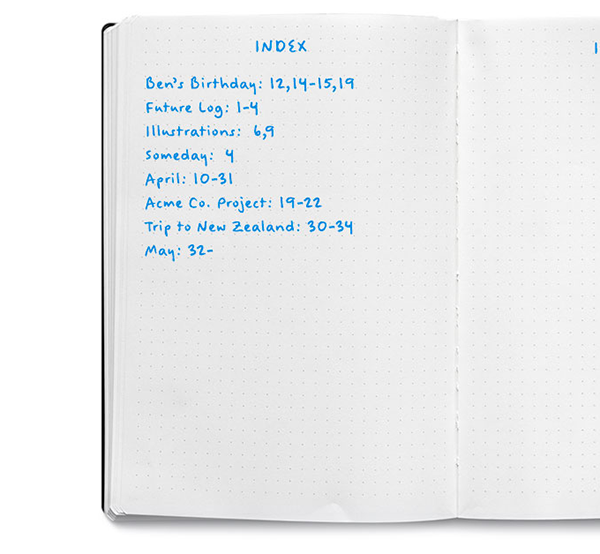 We were so excited when we found out about bullet journalling because it allows us to reap all the benefits of journalling without the time. The process is a simplified version of traditional journalling, tearing it down to its most basic form. Our favorite thing about it is the eventual addition of a table of content after you have already logged that part of the journal. So simple, yet we'd never thought of that. 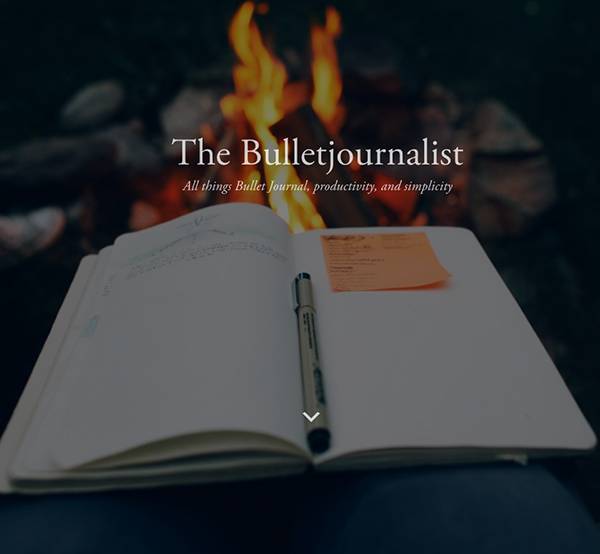 For a full tutorial, check out the bullet journalling website here. 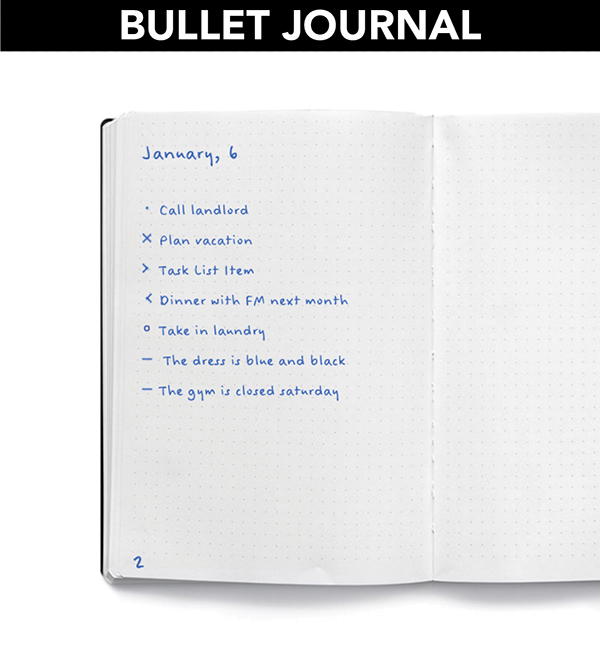 Check out our favorite bullet journalling notebook here.